Home > Blog > Motorhome & Campervan hire in the Eurozone? Motorhome & Campervan hire in the Eurozone? Your money hasn’t gone this far in the last five years! 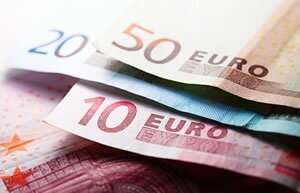 It’s always hard to decide on the best time to travel abroad if your decision might be influenced by currency exchange rates but with the latest trend in the Euro exchange rate against many of the world’s most important currencies, now seems like a very good time to travel in Europe! Our motorhome and campervan rental prices have remained very stable since our launch in 2009 so it’s fair to say that with the decline in value of the Euro against foreign currencies, it has not been cheaper to rent a motorhome in the last five years if you are coming from outside the Eurozone. If you take into consideration the total cost of a motorhome trip in France, the story just gets better. Airline prices are coming down as the price of fuel drops, diesel (to fill your motorhome tank) is at its lowest price for years and (as residents here), we feel the cost of everyday living is not going up. The amount we spend in local shops or restaurants for example, feels much the same as it did a few years ago. Even France’s most famous product, the fantastic wine, still represents great value if you buy it here, where tax on wine is very low! Grab a bargain motorhome trip now while the governments of Europe conspire to make it cheaper for visitors. We hope to see you in “good-value” France in 2015 but do book soon as bookings are absolutely pouring in for this season now! Just put your trip dates in at the top of this page to get an instant quote or book. ← Fuel Prices Are Plummeting Here!